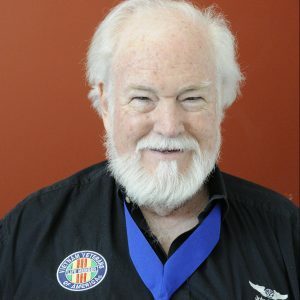 John Rowan was re-elected to a seventh term as National President of Vietnam Veterans of America (VVA) at the organization’s 18th National Convention in New Orleans, La. Rowan enlisted in the U.S. Air Force in 1965 and attended its language school, learning Indonesian and Vietnamese. He served as a linguist in the Air Force’s 6990 Security Squadron in Vietnam and at Kadena Air Base in Okinawa, Japan, providing Strategic Air Command (SAC) with intelligence on North Vietnam’s surface-to-air missile sites to protect U.S. bombing missions. Rowan has been active with VVA since the organization’s inception in 1978. A founding member and the first president of VVA Chapter 32 in Queens, N.Y., he has served three terms on VVA’s board, as chairman of VVA’s Conference of State Council Presidents, and as president of VVA’s New York State Council. Rowan served as a VVA veterans’ service representative in New York City before being elected to VVA’s highest office in 2005. Following his honorable discharge from the Air Force, Rowan received a B.A. in political science from Queens College and a master’s in urban affairs from Hunter College. Rowan retired from city service as an investigator with the New York City Comptroller’s Office. He resides in Middle Village, N.Y., with his wife, Mariann.